. يقدم Plantation Resort at Rainbow خدمات لا غبار عليها وكل أشكال اللياقة وحسن الضيافة اللازمة لإسعاد ضيوفه. تتضمن الميزات الرئيسية في هذا الفندق: واي فاي مجاني في جميع الغرف, خدمة سيارات الأجرة, مطبخ, تسجيل وصول/خروج سريع, تخزين الأمتعة. في الفندق غرف نوم يتجاوز عددها 15، كلها مجهزة بعناية وجمال وبعضها مزود بـ تلفزيون بشاشة مسطحة, اتصال لاسلكي بشبكة الإنترنت (مجاني), حوض الاسترخاء, غرف لغير المدخنين, مكيف هواء. يقدم الفندق خدمات رائعة كمثل مسارات المشي, دروس في الركمجة, حوض استحمام ساخن, مركز للياقة البدنية, حمام سباحة خارجي لمساعدتك على الاسترخاء بعد نهار طويل من النشاط والتجوال في المدينة. إن كنت تتطلع إلى إقامة مريحة وهادئة في المدينة، فستجد في Plantation Resort at Rainbow بيتك الثاني. يُرجى العلم بأن الارتفاع المحدد للسيارة في مرأب انتظار السيارات الآمن الموجود تحت الأرض يبلغ 2,1 متر ولا يُخصص لكل شقة إلا مكان لسيارة واحدة فقط. يكون مكتب الاستقبال مفتوحًا من الساعة 8:30 صباحًا حتى الساعة 5 مساءً خلال أيام الأسبوع العادية وأيام السبت، ومن الساعة 9 صباحًا حتى الساعة 3 عصرًا أيام الأحد والعطلات الرسمية. يجب على النزلاء الذين سيصلون في وقتٍ آخر غير الأوقات المذكورة أن يتصلوا بالعقار مباشرةً قبيل وصولهم؛ وذلك حتى يمكن إجراء ترتيبات بديلة. لدى العقار شبكة محمول محدودة. The spa bath in all the rooms are great, plus it’s good to have a washing machine and dryer in the place. Having a full kitchen is great and an outside table with a bar b q is a good idea. Stayed in the ground floor apartment with sea view. Apartment was huge, modern & clean. Patio with seating with view to beach (obscured). Staff at reception were very friendly & helpful. Location was perfect walking distance to everything. Is on the pricey side but it was a special Occassion so worth it. 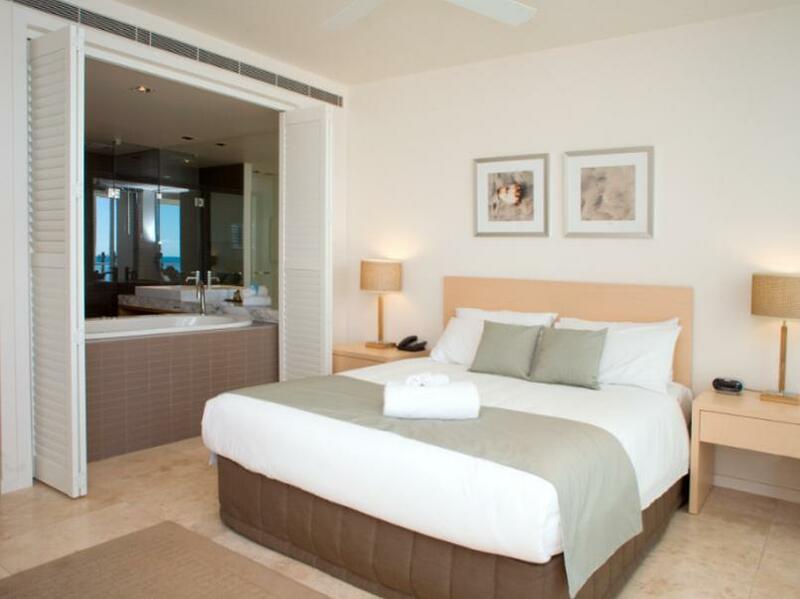 Lovely resort located just a stones throw away from the beach. All basic amenities provided and unit was neat and tidy (though some thorough cleaning needed for mouldy areas in the bathroom and dust on surfaces like the fan etc). Good sized bedrooms with comfortable beds. Enjoyable stay overall! The location was great, our view overlooked a park with the sea beyond, being on the first floor the view wasn't fantastic. The room was very clean and the pool area was nice the pool was bit shallow. We felt it was overpriced for what it was. Location, easy of access and peaceful surroundings. In my children's words, "best holiday ever!". We found the location to be a huge advantage with young children as the proximity to the beach, main street, and good dining were all a short walk away. We did not hear any noise from neighbours which, at times, made us feel like we had the place to ourselves. The pool was beautiful and the unit had everything we needed. It was a real home away from home. The children's playground directly across the road was a plus. Our stay was really nice and we will stay there again. I think it would be worthwhile to get the ocean view rooms and the 'terrace' is just the roof. Not really worth it in my opinion. Our TV didn't work properly and it was fixed. It took a while for the guy to come and fix it however there is only the 2 people running it so not a huge surprise. Location, hotel was absolutely beautiful with a spa bath and kitchen, staff were really freindly, the pub across the road was amazing too. Very relaxing ! Wish I could of stayed longer and will rebook for next year. Nice rooms, great pool and friendly staff. Loved it. Will return again. No negative comments other than TV needed to be upgraded and Wifi provided free of charge otherwise, would highly recommend yo others. The swimming pool was an added bonus. The staff were fantastic very friendly and professional. The location was opposite the beach with ocean views and the hotel proximity to fantastic dining the wood fire pizzas were awesome !!!! 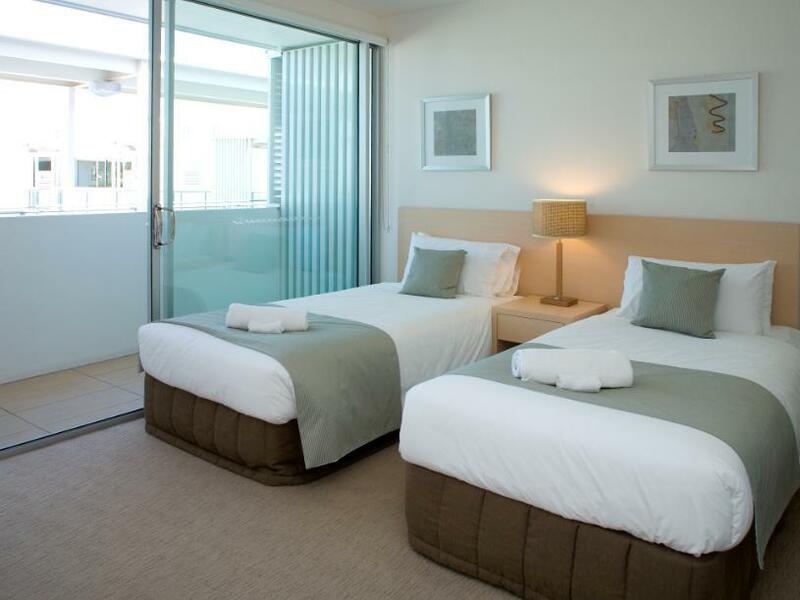 Always a pleasure to stay,luxury and convenience to beach. Enjoyable,great beach access and adventure tourism inc,dolphins,Fraser Island Nd tours. Very relaxing. A chance to unwind and get back to nature - beach walks and bush walks to coloured sands and sand blow. Beach and pool swimming and playground for the kids.